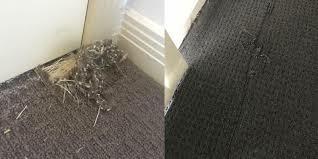 Excellence Janitorial Services & Carpet Cleaning is a trusted company offering comprehensive carpet repairing services in Bakersfield, California. Whether it is your home or office, the appearance matters a lot. The condition at which your home is reflects your way of living and how considerate are you towards the health of your family. Maintaining your home or office involves everything that is contained within that space. However, when we talk about maintaining, the first thing that pops up in our mind is carpet. Carpets have been everyone’s favorite decorative item and for a good reason – they come in great colors, sizes, shapes, prices and qualities. Even though it is one of the most preferred items, it gathers a variety of insects and environment pollutants, such as dusts, smoke, smog, nicotine, exhaust fumes and soil, which can easily damage the condition of your carpets. Repairing your carpets require time, effort, equipments and knowledge and these are what our professional carpet cleaners in Bakersfield, CA have. We employ the latest and advanced methods to give you finest results. We take great care while repairing your carpets. We identify the quality of your carpets, the stains they contain and how they need to be treated. We choose the right chemicals and use our advanced equipments to remove any problems that have been damaging your carpets. 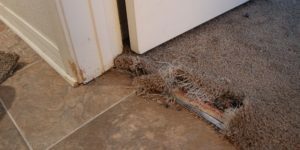 We are experts at rugs and carpets delivering competitive, reasonably priced carpet repair services in Bakersfield, CA. Our devoted carpet technicians realize that each carpet is different and may need a different approach to carpet repairing. That’s why all repairs start with in-depth examination for wear and tear, damage, color fading, sun damage and stains etc. No matter how extensive your carpet repair needs may be, you can count on us to deliver! Why Choose Excellence Janitorial Services & Carpet Cleaning?